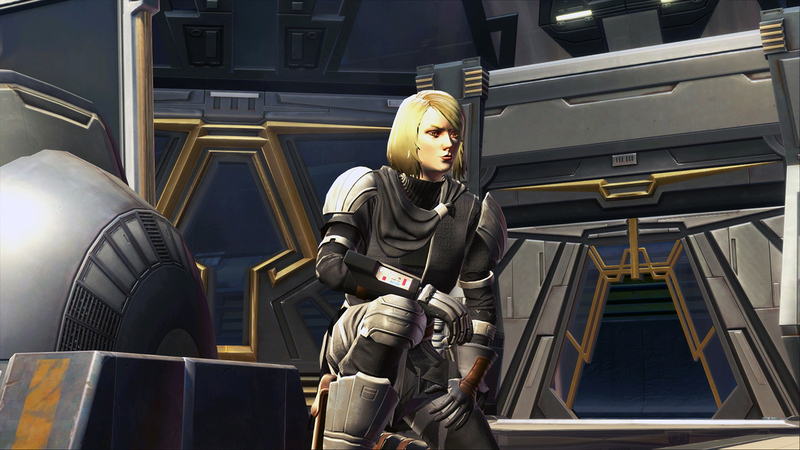 Get up to speed on the state of the Star Wars™: The Old Republic™ galaxy in Sith Lord Lana Beniko’s latest intelligence report and find out more about the upcoming Game Update 5.10: Jedi Under Siege! SUMMARY: War between the Galactic Republic and the Sith Empire is inevitable. While the Alliance cannot stand alone, both factions are eager to secure our allegiance; given the tremendous skill of the individuals in our ranks, we are far more desirable as friends than enemies. This provides us with an opportunity for continued operations and influence over galactic affairs while retaining functional autonomy. War against the Eternal Empire of Zakuul took a heavy toll on the Republic, and infighting between hardline supporters of former Chancellor Saresh and more moderate voices held up recovery efforts significantly. With Saresh’s very public downfall, the moderates eventually gained control of the Senate, which is now led by Chancellor Galena Rans. As a veteran and the spouse of a former Supreme Commander of the Republic military, Rans has deep ties with the military; with the ongoing support of the current Supreme Commander, Jace Malcom, Chancellor Rans has successfully strengthened the Republic’s strategic positions across the galaxy. Resource limitations continue to be an issue, however, so while the Republic is well-positioned to defend its territories, its ability to redeploy its forces for offensive campaigns is limited. long-term survival. Elaborate conspiracies have never been a Jedi strong suit, so I suspect they are merely biding their time until circumstances call for them to unite once more. Although the Sith Empire also suffered heavy losses in the war against Zakuul, Darth Acina’s solitary rulership allowed her to direct her government’s resources more efficiently in the aftermath; as a result, the Imperial fleet is now numerically superior to the Republic’s, with superior troop numbers to match. Efforts to integrate non-humans into the military have been unexpectedly successful, further replenishing the Empire’s ranks. The loss of Acina on Iokath has not reduced these impressive personnel and warship counts, but it has altered their deployment. Acina’s replacement, Emperor Vowrawn, is well-known as a cheerful and skilled participant in the schemes and treacheries common among high-level Sith. With him in charge, those in positions of power are watching their own backs more than they did under Acina’s rule; as a result, they are moving their forces more conservatively, afraid to overcommit and leave themselves vulnerable. This could provide opportunities to the Republic that might not have existed otherwise. The Hutts have steadily gained strength in recent years, culminating in negotiating an “amicable nullification” of the treaty the Republic imposed on them in the aftermath of the Makeb debacle. Recognizing the opportunity presented by recent food shortages, the Hutts offered a staggering donation of foodstuffs to the Republic in exchange for exiting the treaty on peaceful terms. The Hutt responsible for brokering the deal, Brogol, has risen to overall leadership of the Cartel; invoking an ancient tradition, he has selected his own title, and styles himself the “Sovereign Magnate”. Under Brogol’s leadership, the Hutts have largely shifted their business interests to focus on gambling, spice, and related “entertainment” investments while reducing (though not eliminating) their interests in the slave trade and territorial holdings. Nar Shaddaa is once again a bustling neutral zone of galactic trade, and with the Republic and Empire locking down their supply chains and resources in preparation for war, the Hutts’ vast smuggling and trade networks may soon become the galaxy’s best and most reliable pipeline for commerce and logistics. Independence from the fallen ruling family has done little to improve Zakuul’s prospects. The degree to which Zakuulan society relied on Valkorion and the Eternal Throne becomes more apparent day by day; the comforts and advancements of their daily lives were supported entirely by vast, automated systems--like the Eternal Fleet--plundering a constant wealth of resources from countless unheard-of worlds across Wild Space, with none of their people any the wiser. No one questioned the source of their Eternal Emperor’s bounty; they merely celebrated the apparent generosity with which he shared it. Without their former support systems, Zakuul’s new government has attempted to establish diplomatic and economic ties with the Core Worlds; understandably, this has not been very successful. Few worlds have been eager to trade away more of their resources to the planet that demanded those same resources at the point of a knife so recently. As a result, the Zakuulans’ only support has ultimately come from a small consortium of corporate interests; it is my personal suspicion that many of these corporations are actually fronts for the Exchange criminal organization, though our agents’ investigations are still ongoing. As a veteran and the spouse of a former Supreme Commander of the Republic military, Rans has deep ties with the military; however, the recent death of Jace Malcom and subsequent Republic loss on Iokath has limited her influence and given fuel to opposition voices. As Rans struggles to appoint a new Supreme Commander, her opponents have cited ongoing resource shortages in order to limit further military spending, weakening the Republic’s overall strategic positions across the galaxy; they will be ill-equipped to hold their territories against Sith invasion. the comforts and advancements of their daily lives were supported entirely by vast, automated systems--like the Eternal Fleet--plundering a constant wealth of resources from countless unheard-of worlds across Wild Space, with none of their people any the wiser. No one questioned the source of their Eternal Emperor’s bounty; they merely celebrated the apparent generosity with which he shared it.